SRATI co-ordinate with Amrita Vishwa Vidyapeetham’s SAVE Project - To utilize SRATI infrastructure and guidance / technical knowledge for the development of computerized vocational plumbing program - Collobaration with Govt. of India Ministry of Human Resource Development. 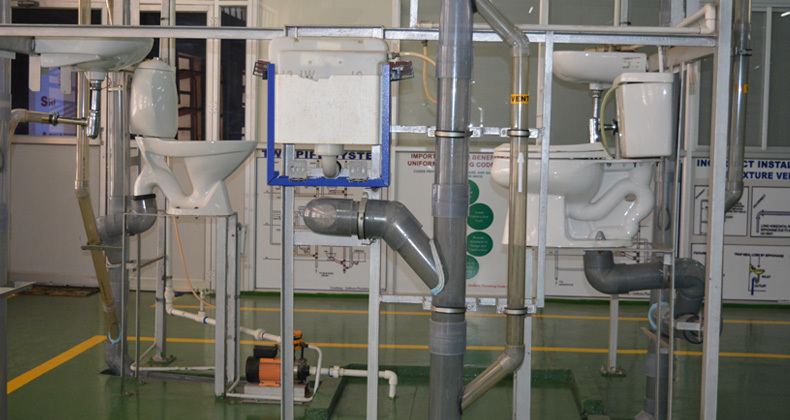 SRATI provided preparatory training for the candidate who participated in World Skills International Competition of Plumbing and Heating Trade held at London during 2011. SRATI provided plumbing course for the candidates of Tamilnadu Govt. – Vazhnthukattuvom Project – Skill development for Unemployed youths in continual basis. Conducted Technical Seminar & Training for the employees of Grohe India P Ltd. Conducted Plumbing course for the students of Sri Ramakrishna SteeI Industry Matriculation & Hr. Sec. School, Coimbatore. Conducted Awareness to Modern Plumbing for the employees of Hansen Drives Ltd. with their family members. Conducted Plumbing System Design Course for the Engineering students, Supervisors & Practicing Engineers. So far SRATI have trained 700 plumbing professionals. Copyrights © 2017 All Rights Reserved. Powered by SRATI.